Our chain is made in the same fashion the rest of our copper core line is made. Use them for anything from bracelets, necklaces, earrings etc. 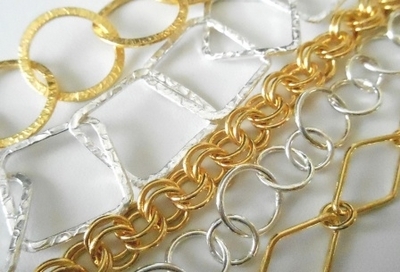 for a fraction of the cost of gold filled or sterling chain.